With the U.S. Open in full swing in New York, luxury brands are teaming up with the United States Tennis Association to reach new audiences. Taking place until Sept. 9, the 50th anniversary of the tournament is already drawing record crowds and thousands of viewers. Mercedes-Benz, Rolex and Ralph Lauren are among the luxury brands forging or continuing their relationships with USTA this year, seeking out affluent fans of the sport. 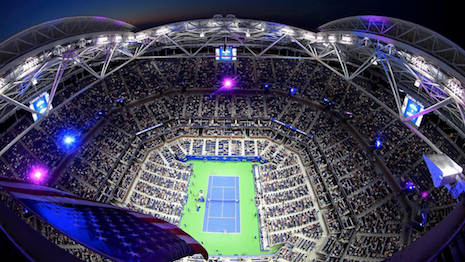 "The U.S. Open is a premier, global sporting, lifestyle and entertainment event," said Deanne Pownall, managing director of partnership marketing at USTA, White Plains, NY. "The partners that we work with share the same brand pillars and have a desire to connect with the U.S. Open fan base." One of the tournament's most prominent brands, German automaker Mercedes-Benz has sponsored the U.S. Open since 2010. "Mercedes-Benz sponsors sports that our customers are passionate about," said Monique Harrison, head of brand experience marketing at Mercedes-Benz, Sandy Springs, GA. "In line with our mission to be the best, we want to be associated with the top tournaments in each respective sport and for tennis, that is hands down the U.S. Open. "Over the years we have expanded our sponsorship around the tournament to include on-site customer hosting inside our luxury suite, an experiential brand center and most recently, our partnership with reigning Women’s U.S. Open champion Sloane Stephens," she said. American tennis player Ms. Stephens joined the automaker as an ambassador earlier this summer. The brand will be sponsoring her and gifting her a 2018 Mercedes-Benz GLE 63 S Coupe. Mercedes will be supporting Ms. Stephens as she continues to compete in the tennis world and she will also appear in the brand's U.S. marketing. Most recently, the athlete won at the Miami Open and was a runner up at the French Open (see story). With Ms. Stephens' help on Instagram, the automaker also reached out to a wider group of fans with a ticket giveaway that included tickets to the Mercedes-Benz suite during a U.S. Open match. 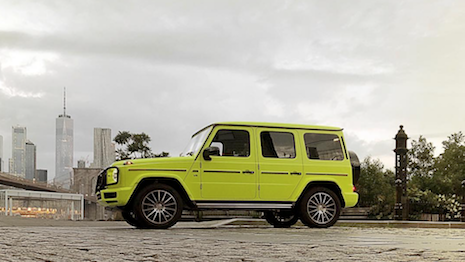 Branded tennis balls were hidden alongside a 2019 Mercedes-Benz G-Class vehicle in different iconic spots around New York. 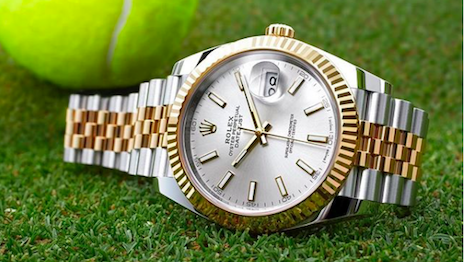 Earlier this year, Swiss watchmaker Rolex announced a partnership with the USTA to become the official timekeeper of the U.S. Open. Starting with the 2018 U.S. Open, Rolex-branded clocks will be keeping the time for the matches. A signature clock at the Arthur Ashe Stadium will be overhauled into a new Rolex display as well as various timekeeping instruments throughout USTA Billie Jean King National Tennis Center (see story). U.S. fashion label Ralph Lauren is the official outfitter for the U.S. Open, having designed an official Polo shirt for ballpersons, line judges and chair umpires to wear. Ralph Lauren also has a retail store at the tournament site, one of four stores at the new Louis Armstrong Stadium. "Polo Ralph Lauren is also celebrating its 50th anniversary and developed creative to recognize the mutual milestone," Ms. Pownall said. Mercedes is not the only luxury brand that turns to tennis players to serve as brand ambassadors. These faces are often highlighted during tournaments. Serena Williams, considered to be one of the most dominant players of the Open era, has worked with Swiss watchmaker Audemars Piguet and U.S. automaker Lincoln. Meanwhile, tennis great Roger Federer has longtime relationships with Rolex and LVMH-owned Champagne house Moët & Chandon. Luxury brands from various sectors use large-scale sporting events as opportunities to reach broad audiences. Global competitions are vehicles for luxury brands to reach a tuned-in audience. Earlier this summer, the FIFA Men's World Cup drew billions of viewers from around the globe. Responding to football fever, labels including Hublot, Louis Vuitton and Aston Martin appealed to the spirit of competition and national pride with special products, events and marketing (see story). The Tour de France, the annual summer cycling race, is also a draw for luxury brands who wish to engage race enthusiasts. The race spreads across most of July, allowing brands to create extended promotions. As luxury brands link themselves to the weeks-long event, a wider audience is likely to be reached. When luxury brands link up with certain sports, shared values are emphasized (see story). "The involvement of partners with the USTA, and particularly in support of the USTA mission to grow and develop the sport of tennis is critical," Ms. Pownall said. "We have had tremendous success building and enhancing grassroots programs with the assistance of partners. "The ability for our partners to invest in USTA priorities and drive awareness through their channels is a significant benefit," she said.